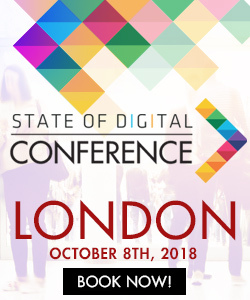 I’ll be honest when Bas sorted tickets for us to cover SES London there was one session I really wanted to really wanted to cover this one with Lee Odden from Top Rank Blog. Here are my big take aways from his session. Everything you do has the potential to help you create content, see the opportunity in everything you do. When you make any piece of content think about what your customers want. Just because you can create do doesn’t mean you should. Think if you got your FAQ section well optimised just think how much you’d save on customer service costs. If you get your calls to action right rich content will drive conversions even though you might not expect it to. Optimise everything new you put out on the web, if it’s content an SEO should touch it before it goes live. 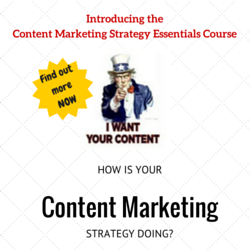 If you’ve not got an editorial calendar you don’t have a content marketing strategy. Firstly – really wish i could be at SESUK been following the trends for the past few days and it looks like im missing out big time. Like the few things you mentioned here, do you know if these are the things Lee will be covering in his webinar on the 10th of march as well ?? Pingback: An Integrated Approach to Content, Search and Social Media Optimisation - All News & Campaigns.